"Women find men more attractive once they find out he is desired by others, a new study suggests. Published in the journal Scientific Reports, researchers from the Universities of St Andrews, Durham and Exeter believe that a man is given an “attractiveness boost” when he is desired by other women. This is because he is perceived to be more kind, faithful and a better father. The study tested the idea of mate copying – where a person is preferred as a future romantic partner simply because they have relationship experience – by showing 49 female participants images of men’s faces, hands and a piece of art. The women were asked to rate how attractive they found each image before being shown the average rating given by the rest of the group. Interestingly, when the women were asked to re-rate each image shortly after, their answer changed in favour of the social information." I believe the rise of mass entertainment over the past century has skewed female desire upwards towards a tiny tier of top-rank men. The reality of these men may or may not be impressive; however, the pre-selection of mass culture - no matter how manufactured - makes them desirable. 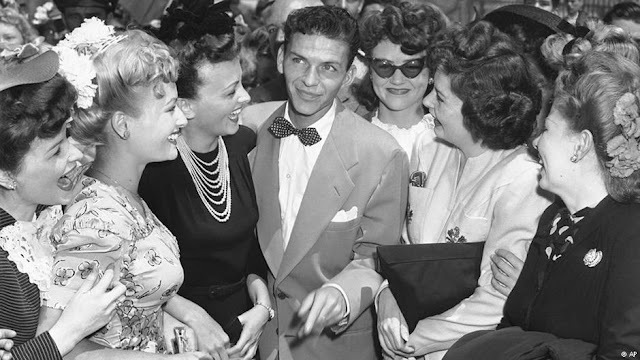 Would Susie be happier with Frank Sinatra as opposed to Joe with the plumbing company on Highway 35? Maybe, maybe not, but unless a group of local ladies are inexplicably excited over a man with mastery of copper pipe fittings, Susie is going to be more attracted to Frank. It's something that eats at men who don't understand female desire. "How can I get a girl when a girl only wants a guy who already has a girl? And how come the player ended up with the nice girl who should have been attracted to me. I'm a great guy!" Yeah, you may be. But you need to understand female wiring. A woman doesn't want to marry a husband that no one else wants, just like a man doesn't want to drive a car others laugh at. I wanna be your end game"
"A wedding ring is a great way to attract women, "
My older brother told me that as soon as he was married, chicks all over him. I am a terrible liar so I never used one as a prop. I am, however, strongly considering dating and having my recent ex "accidentally" find out as organically as possible. I am certainly not above deliberate manipulation of females. "How can I get a girl when a girl only wants a guy who already has a girl?" Doesn't work that way. If a guy has a girl, it doesn't automatically make him more attractive. It has to be a desirable girl, and if he doesn't have one at the moment, he has to at least be desired by desirable women. (A man who goes after easy fatties and crazies doesn't help his cause.) And if their desire is increasing over time rather than being sabotaged and killed, it's reassurance to the women that he's unlikely to be a Gamma loser or a low Delta pushover. "A wedding ring is a great way to attract women"
Not a tactic I'd recommend to Catholics and others who don't want to deal with women who are willing to be homewreckers and marry divorced men. When the girl says "I see you are married." Say, "Yea, but I have a prenup." Women are less interested in men than social status. Contrary to popular myth, women are also far more competitive than men internally, whether or not it manifests externally. The old adage that most women hate each other unless there is something to be gained from not doing that is fairly close to the mark. When a woman desires a man who is desired by other women, what she really desires is the desire of a man that other women desire. It's the envy of other women she's after, as that is perceived as an indicator of her worth and value compared to other women. Betty Friedan's "problem with no name" is basically the tension between this status envy and a woman's sense of self-worth. Feminism was initially an attempt to free women from this. Problem is, status and worth are not properties of womanhood to be traded in the sexual marketplace or 'rights' to be fought for politically with men who supposedly have the power to dispense these, they're endowments of personhood given to all of God's children. Everyone has them. We need to recognise that, acknowledge their source and submit to the proper demands He makes of us. Feminism fails because not because it elevates women above men, but because it elevates man above God. Look for godly character in both men and women. You can gauge a man's character by seeing how he treats people. You can gauge a woman's character by seeing how she treats people who can do nothing to improve her status. It has never failed me yet. ...Ok guys I have the million dollar question: since I'm a newbie to dating/women...how in the hell am I supposed to look like I'm desired by lots of women if there are currently no women around at all to begin with? It's like the old career experience saying: "How am I supposed to get experience if no one will give me the chance to get experience in the first place?" You've described a manufactured paradox. Looking like we're desired by lots of women is a very different thing to gaining experience with women. Experience includes lots of rejections and failures, even learning how to be your own man during long periods of drought. That last thing is the key here: learning to be your own man. A man who is attractive to the right kinds of women is led in life by something other than women. Women are not the prize to him. The only woman he sees as worth marrying is the woman who finds him when he's fulfilling his life's purpose. In other words, don't live by women's rules. Be your own man. Better still, be God's man. If your life's purpose is to be attractive to women, then you have to play by women's rules. You have to play the status game. 1. Set your goals in such a way that the only women you seek are those who are lower than you in status - power, athleticism, looks, money. Your choices will grow as those things improve. 2. Go to where the girls are and display your status (if there are no girls - move or travel). Sure, you may look like an asshat to some but there's a reason that red Ferrari has a number plate that reads IMRICH - it works. Athletes do the same on the field. Actors, politicians and CEO's too. The whole world is playing the woman's status game and you have to be in it to win it. Remember: even low status is status - aim lower till you find your mark (but always aim to level up). 3. Follow the basic rules of Game. Make sure there's attraction before getting close to a woman. Comfort follows attraction. Intimacy follows comfort. Comfort without attraction is the friend zone. Intimacy without comfort is sexual harrassment. Practise on friends. If you don't have friends, you are not ready to play the status game. Women are social creatures, men need to be able to socialise in order to interact with them. Go get some friends, then start playing. 4. Don't be discouraged when you fail. Failure is the fuel of success. Every painful mistake is a milestone on the way to mastery. 5. Get in shape. Be healthier. Don't worry about the size of this or that. Work on the things you can change. 6. Hopefully once you reach this point you'll be able to see that the status game women play is trivial.